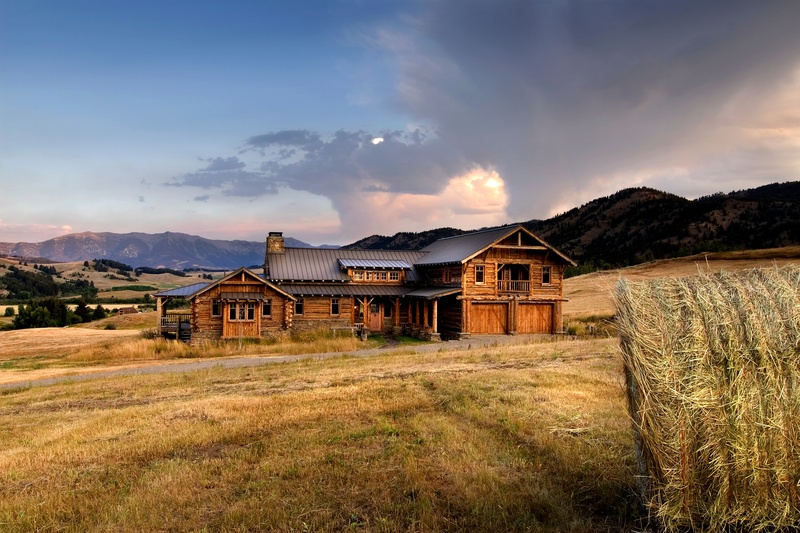 Choosing the right finish and panel to complete a rustic design often relies on the proper pairing of tones between the roofing and siding, as well as understanding how the product will fit within the environment throughout the seasons. A throwback to the original metal of the west, the corrugated panel has become a timeless cornerstone of a rustic design. Originally becoming popular as an all-purpose panel, the corrugated panel has been adapted to become a popular panel in most environments and designs. The corrugated pattern makes these panels extremely strong, a likely reason for their popularity throughout history. Whether you are building a Texas rustic design or a mountain rustic cabin, a corrugated panel as a full roof or accent creates a vintage look, while maintaining an extremely durable and weather-resistant envelope. Standing Seam panels are a more recent addition compared to the traditional corrugated panel. Standing seam panels offer a concealed fastening point which gives them a cleaner look. When combined with a rustic finish, these panels have become very popular with certain rustic designs. What a standing seam lacks in history it makes up for in appearance. 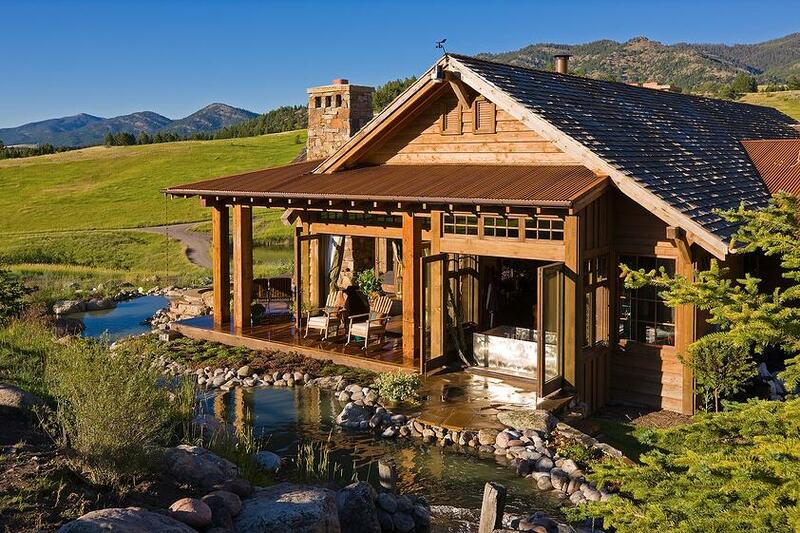 Combined with colors like weathered copper (seen above), standing seam panels pair very well with horizontal lines found in log cabins and timberframe builds, and offer a unique accent roof option for existing builds looking to create an appealing rustic look. Copper is very popular in many designs. While copper can be more expensive than steel, the lifespan of a copper panel (in the right environment) far exceeds most other base materials. In a humid environment copper will often change to a light green color, while in drier environments it changes to a warm brown finish. Copper is often used as an accent roof in residential applications, while commercial builds like to use it for awnings and areas visible from street-level. For an alternative to copper, Bridger Steel offers a range of copper finishes that emulate the different stages of a copper patina at an affordable price. Whether creating a rustic mountain look, or an aged desert villa, weathering steel is an extremely unique and popular option. One of the reasons behind its popularity is the natural patina it takes on. A606 is a steel designed to naturally rust. Two outer layers of steel designed to rapidly rust will patina and protect the inner layer of steel. This natural patina also means that aesthetically each panel will act uniquely depending on its position and environment. To add to the longevity of A606 Weathering Steel, Bridger Steel worked closely with the mills to create our own unique recipe that we call Truten A606. We found that many manufacturers were buying cheaper recipes that were inconsistent and unreliable. To solve this quality problem we created a product that always meets our strict criteria for ingredients and performs wonderfully in most environments. For those that want a rusted look, but want the added security of a warrantied painted product, we offer Rustic Rawhide. The finish emulates a nearly fully patinaed A606 panel baked into a rough, low gloss texture called Rawhide.